Todd White special project for Coca-Cola. 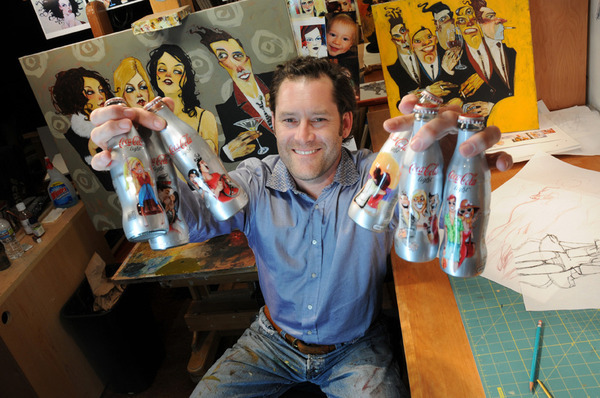 In early 2010, Todd White produced a number of images in conjunction with Coca-Cola, to be featured on a range of exclusive limited edition bottles. These photographs show Todd in his Hollywood studio at the beginning, working on the original concept sketches, and also at the end, when he finally got to see the finished bottles for the first time.